***SOLD*** Beautiful family home on large corner lot with huge deck, fenced in area and mature fruit trees. 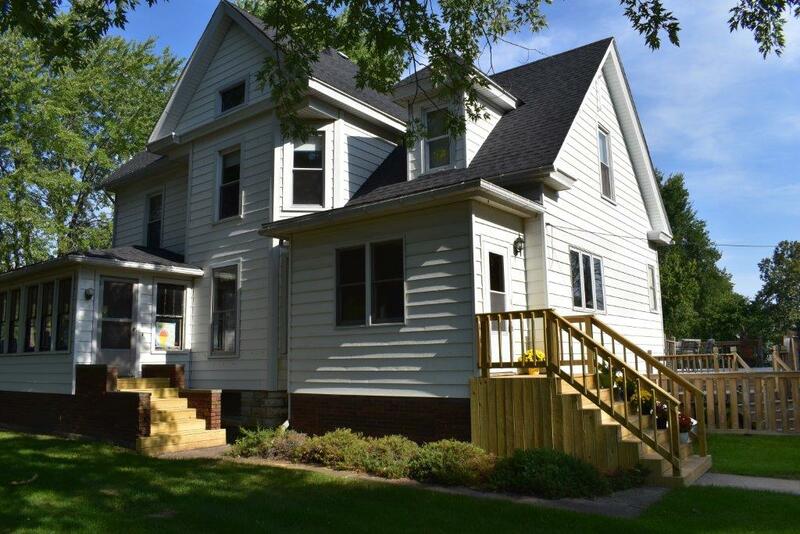 This home has plenty of character with all original woodwork, hardwood floors, pockets doors and beautiful french doors opening between the LR and foyer. Spacious kitchen has a closed in area that is currently being used as a pantry, but has a washer/dryer hookup. Full bath off of kitchen was updated 2 years ago and is easily accessible from the outside deck. Gorgeous built-ins in DR, LR and FR. The 3 large BR on second floor can be accessed from two separate staircases. Full bath upstairs has built-in vanity and double sinks. FR on first floor could be used as a 4th BR. Plenty of storage with large closets and full walk-up attic. Full basement with built-in shelves and bar. Most windows have been replaced and whole house fan help with efficiency. Roof and outside steps new 2018. Must see to appreciate this one!